All Salads served with your choice of Ranch, Thousand Island, Blue Cheese or Italian Dressing. Fresh grilled chicken on a bed of lettuce, with fresh tomatoes, bell peppers and shredded cheese. Shredded lettuce topped with fresh tomatoes, bell pepper, onion and shredded cheese. A crispy flour tortilla bowl filled with grilled chicken and shredded lettuce. Topped with shredded cheese and sour cream. Bed of lettuce with fresh tomatoes, black beans and shredded cheese. Made fresh every day with chicken broth, shredded chicken breast, fresh zucchini squash, potatoes, cilantro and onions. All Nachos topped with shredded cheese. Extra charge for substitutions. A bed of tortilla chips with cheese sauce topped with ground beef, shredded chicken, refried beans and covered with shredded lettuce, tomatoes, guacamole and sour cream. A bed of tortilla chips with cheese sauce topped with refried pinto beans. A bed of tortilla chips with cheese sauce topped with ground beef. A bed of tortilla chips with cheese sauce topped with ground beef and beans. Tortilla chips with cheese sauce & your choice of ground beef or shredded chicken. Topped with shredded lettuce, sour cream and pico de gallo. Cheese sauce on a bed of tortilla chips. A combination of grilled chicken breast, tender grilled slice of rib eye steak and grilled shrimp. Served with rice, beans, pico de gallo and two flour tortillas. Grilled chicken breast, rib eye steak, homemade Mexican style sausage topped with onions and cheese sauce. Served with rice, beans, pico de gallo and two flour tortillas. Served with rice, beans, shredded lettuce, pico de gallo, diced avocado and jalapeño. Served with two flour tortillas. Two flour tortillas stuffed with steak and onion then topped with cheese sauce. Served with rice or beans, lettuce and sour cream. Grilled rib eye steak and grilled shrimp. Served with your choice of rice, beans or French fries. Two thin tender rib eye steaks served with rice and beans, shredded lettuce, sliced avocado, pico de gallo and two flour tortillas. Served sizzling with sauteed fresh vegetables on a cast iron skillet. Served with rice or refried beans, lettuce, sour cream, pico de gallo and warm tortillas. Choice of grilled chicken, grilled steak or vegetarian. Combination of steak, chicken & shrimp. Two burritos, one filled with shredded chicken and beans, one filled with ground beef and beans. Topped with cheese, homemade burrito sauce, lettuce and sour cream. Two flour tortillas filled with beef tips and beans. Topped with cheese, burrito sauce, lettuce, guacamole and sour cream. Two flour tortillas filled with your choice of grilled chicken, steak or ground beef. Topped with cheese sauce, ranchero sauce, pico de gallo. Served with rice or beans. A large flour tortilla filled with grilled chicken or steak, rice & beans. Topped with cheese, shredded lettuce, pico de gallo and sliced avocado. A large flour tortilla stuffed with rice, beans, lettuce, pico de gallo, sour cream and your choice of chicken or steak. Four corn tortillas filled with shredded chicken, ground beef, beans and cheese. Topped with cheese, our homemade enchilada sauce, shredded lettuce, chopped tomato and sour cream. Five corn tortillas filled with shredded chicken, ground beef, beef tips, beans and cheese. Topped with cheese, homemade ranchero sauce, shredded lettuce and sour cream. Three shredded chicken enchiladas topped with shredded cheese and homemade enchilada sauce or homemade green sauce. Served with rice, lettuce and sour cream. Three enchiladas all with shredded chicken and topped with cream sauce. Served with rice, shredded lettuce and pico de gallo. Choice of ground beef, shredded chicken or cheese fillings on tacos, enchiladas, burritos and quesadillas. With rice and beans. All our shredded chicken is sauteed with onions, bell peppers and tomatoes. Taco - Enchilada - Burrito - Tamale - Chile Relleno - Classic Chalupa - Tostada - Quesadilla. All steak or chicken is sauteed on the griddle. Chicken or steak, rice and beans or French fries. Chicken or steak, topped with our cheese sauce, rice and beans. Stir-fried with chicken or steak, rice and beans or French fries. Steak or grilled chicken, beans, shredded lettuce, sour cream, shredded cheese and tomatoes. Served with rice and beans. Hard or soft shell with either steak or chicken. Complimentary chips and salsa when you buy an entree. One bean burrito, one cheese enchilada, one bean tostada with beans. Black beans and rice topped with sauteed vegetables, cheese and sauce. 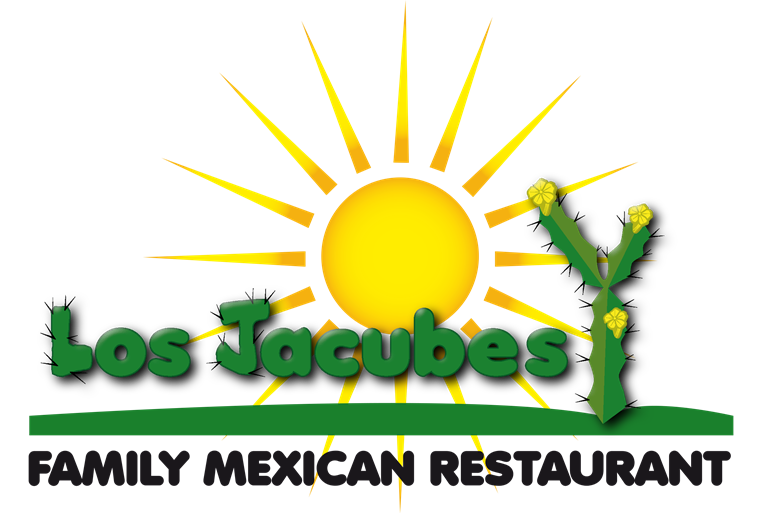 Sauteed fresh vegetables, served with rice or refried beans, shredded lettuce, sour cream, pico de gallo and warm tortillas. One quesadilla with mushrooms and cheese, served with rice or beans, lettuce and homemade guacamole. One bean burrito topped with cheese sauce, one cheese enchilada and one cheese quesadilla. A bed of rice with grilled zucchini and mushrooms and topped with cheese sauce. Iced slush Margaritas (non-alcoholic), pick your flavor; Traditional (Lime), Strawberry or Pina Colada.